RS Components stocks a large range of fasteners fixings from a professional range of own brand RS Pro and most well-known, best in class manufacturers such as Eclipse, Jubilee and Yahata Neji. 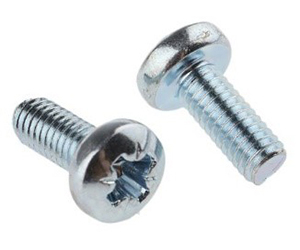 What is the difference between a fastener and a fixing? We often get confused as to what the difference between a fastener and fixing is. Hopefully we can help with the understanding a bit more. The two terms are often used interchangeably. In the dictionary, it says that a fixing is the process of holding and securing something in place. And a fastener is the device to hold and secure an object. A fastener is a piece of hardware that joins two or more objects to keep them in place. 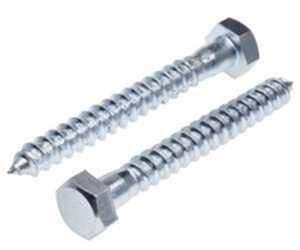 The normally threaded fastener such as screws and bolts create a non-permanent bond so that the different components can be dismantled or removed if needed. A fixing tends to be a piece of hardware that permanently fixes objects. Where would you use a fastener or fixing? Fasteners are used in all the objects that we see and use every day. They are used in household appliances, cars, vans and items such as table and chairs as well as in industrial applications. What do I need to think about when choosing fixings and fasteners? Whether you are looking to buy some nails, sockets screws, anchor bolts, nuts or wall plugs there are a lot of different things you should consider. Choosing and using the correct product to fix and fasten your application can be crucial. Choosing the wrong one for your application can be critical. Why should you choose RS Components? As a company, RS Components thrive on giving great customer service. We guarantee the quality of the products and provide you with all the technical specifications you need to use your fasteners and fixings. Read our information and support guide for Coach Screws to find out about all the different options available and how to use them. Masonry Nails manufactured from austempered high carbon steel. Hardened and tempered on modern fully automatic equipment in a continuous process High Hardness with extremely high flexibility for absolute safety (SEC predicate). A 316/A4 stainless steel nail, ring shanked with HDPE impact resistant poly head UV Factor 5 stabilised. Available in white head. Plain bright steel finish Supplied in 500g bags.